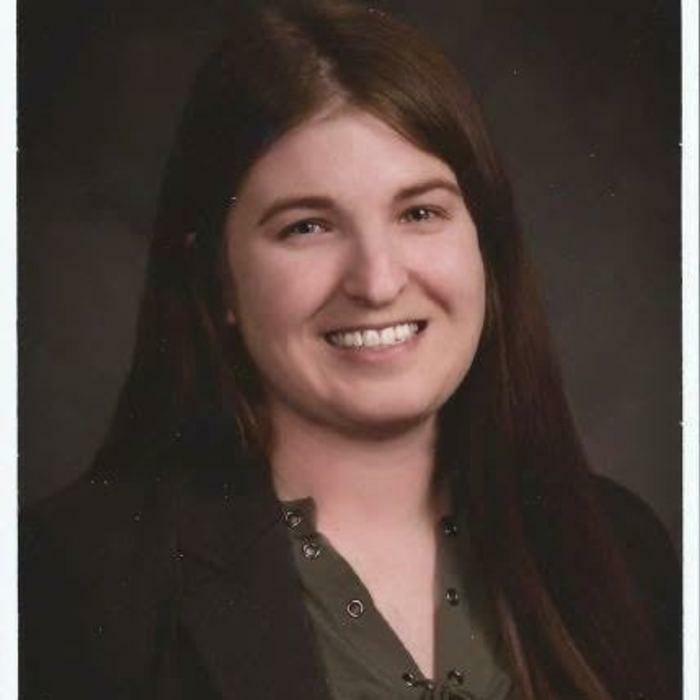 Dr. Angie Burkett graduated from Michigan State University College of Veterinary Medicine in 2018. She also obtained her Bachelor of Science degree in Zoology from Michigan State in 2012. Dr. Burkett was born and raised in Grand Rapids, and she moved to northern Michigan with her husband, Scott, in order to get away from the big city. Dr. Burkett and her husband welcomed their first daughter in August 2018. When she’s not working, Dr. Burkett enjoys being outside and spending time with her family, which includes their 3 pit bulls – “Chevelle”, “Raisin”, and “Malcolm”. Her family also includes 3 guinea pigs – “Diesel”, “Nuggets”, and “Eva”. Dr. Burkett is currently an active member of the Michigan Veterinary Medical Association and the American Veterinary Medical Association. Art has been at South Shore Animal Hospital since 1999. Art has two dogs; including Kena a Pit Bull mix, and Sissy a Labrador Retriever mix. After hours, our kennel team ensures post-surgical patients and boarders are walked, watered and cared for. Like all of the healthcare team at South Shore Animal Hospital, Art loves animals and is compassionate and caring fo our patients. Jerry has been a South Shore Animal Hospital since 2002. Jerry has a Chihuahua mix named “Shivers”, and a grey & white cat named “Little Bit.” After hours, our kennel team ensures post-surgical patients and boarders are walked, watered and cared for. Like all of the healthcare team at South Shore Animal Hospital, Jerry loves animals and is compassionate and caring for our patients. Barb joined the South Shore Animal Hospital team in August of 2011. She thrives to make our clients and their pets’ visit with us an enjoyable and informative one. Barb’s fur family includes two dogs, “Dozer,” a Pit/American Bulldog mix and “Digger,” a boxer. In Barb's spare time you can find her in her garden and enjoying the outdoors. Jennie is a 1981 graduate of State University of New York at Delhi. She is a Licensed Veterinary Technician and has been working in a private practice since graduation. 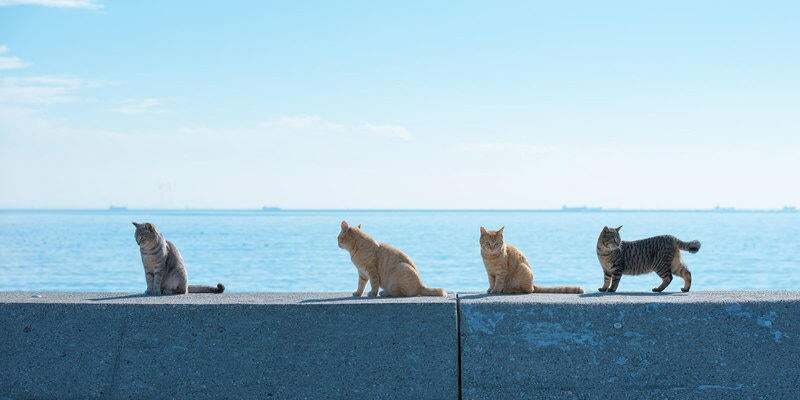 She worked in the Metro Detroit area for several years before landing in Northern Michigan and has been a team member at South Shore Animal Hospital since 1999. Outside of work, Jennie keeps busy with her many animals, including dogs, cats, and horses. 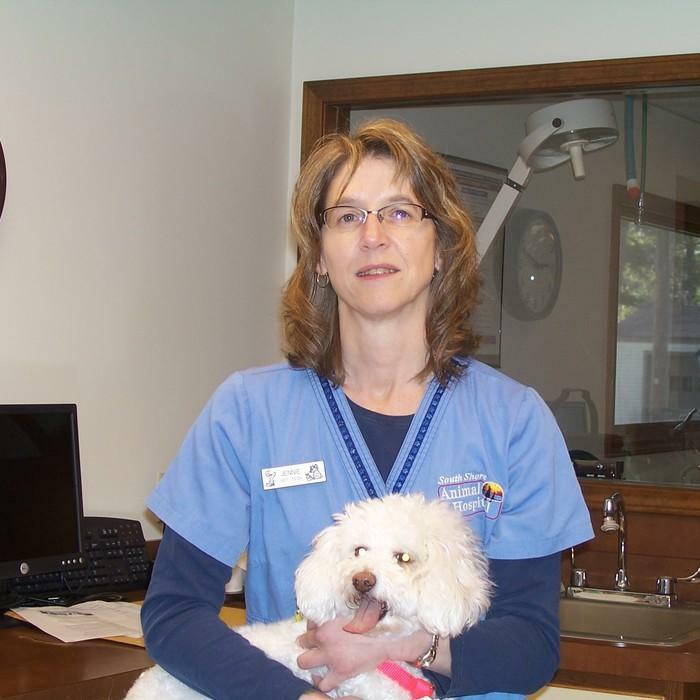 Colleen has been a valued member of South Shore Animal Hospital since June 2008. Colleen attended Michigan State University where she graduated with a bachelor’s degree in Veterinary Technology. Her fur family includes a white/tiger cat named “Tripod,” a Husky named “Angel,” and a Husky/Lab mix named “Pluto.” Outside of work you will find Colleen spending time with her husband and their two young boys doing many outdoor activities which include fishing, hunting, snowshoeing and skijoring. 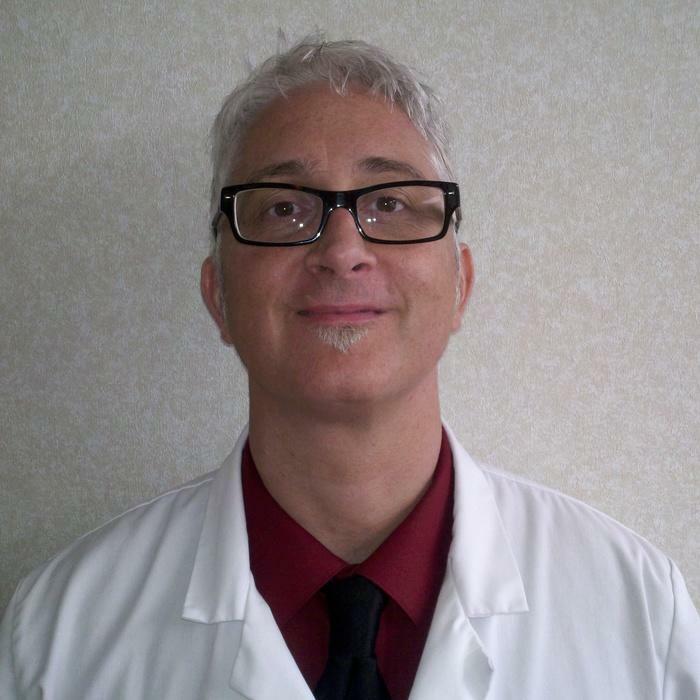 Mark became a team member of South Shore Animal Hospital in the fall of 2016. He graduated from Baker College Cadillac in 2017 where he received his Veterinary Technician License. Mark has grown up in the Roscommon area and has always had a love for animals. After owning his own pet shop, Mark’s love for animals grew! He now lives on his own farm and has many animals of his own. His laundry list of animals includes a red tail boa, alligator, horse, cow, and many dogs and cats. Marks favorite part of his job is feeling that he can help build the bond with our clients and their four-legged family members. Rosemary joined the South Shore Animal Hospital team over 15 years ago as a Veterinary Assistant. 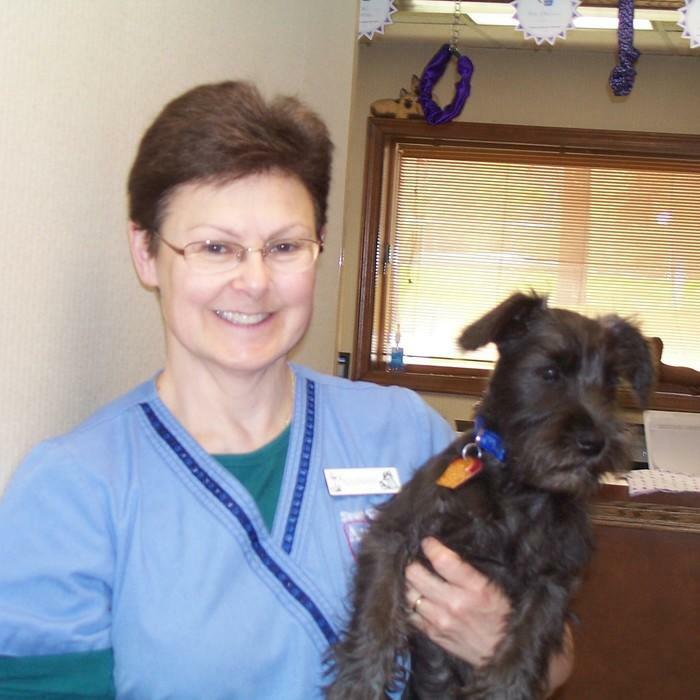 In Rosemary’s family she has two Miniature Schnauzers to keep her busy, “Reggie” and “Ruckus.” She has many duties at South Shore which include; assisting with dentistries, maintaining a sterile environment, inventory, and ordering of prescription foods. Haley is South Shore Animal Hospital’s newest Vet-Tech. She is a 2018 Baker College of Cadillac Graduate who began grooming animals before continuing her education. Her love for animals started at a young age and decided to pursue a career where she would never have to work a day in her life. Haley is a wife and a mother to her daughter, Kona the pit-bull, ShiShi the jack-chihuahua, two cats, Lucy and Diamond, and a tank full of fish. On Haley’s free time, she enjoys knitting hats for her daughter and roller skating, weather permitting. Makayla joined South Shore Animal Hospital in the fall of 2018 as a Client Care Specialist while studying Business Management at Kirtland Community College. Makayla strives to provide exceptional client care for every client, every time. Makayla’s fur-babies consist of two dogs, “Remi” – a very laid-back boxer, and “Rosie” – a high strung “scaredy-cat” pit-bull. 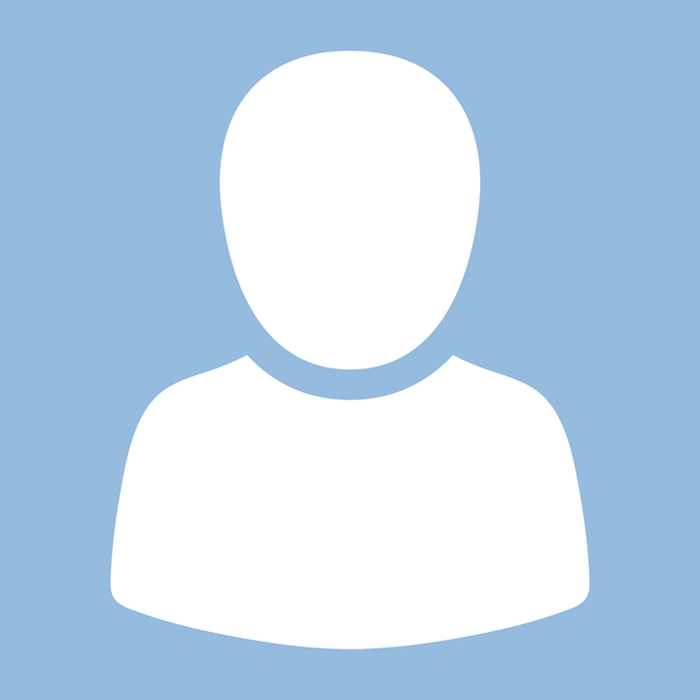 When she isn’t working, she enjoys spending time with her husband boating, four-wheeling, fishing, or doing anything outdoors with her dogs and family.